I’m baaaack! I’m sorry I’ve been missing for so long, but I’ve so sick it’s unreal. I haven’t been to work in 3 weeks due to this stupid bug and I’m still not completely over it. 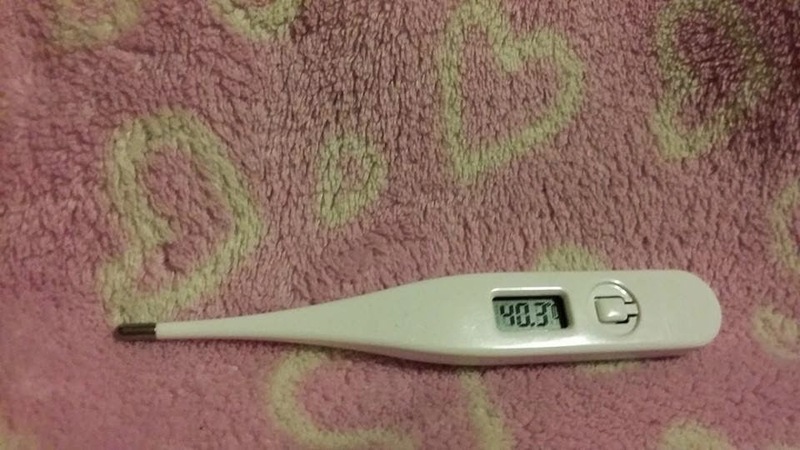 For the first week of this bug my fever was unreal, without medication it was contently over 40c. At its highest it was 40.9c for my American friends that’s 105.6. I actually hallucinated that aliens that were trying to cook me, my temperate was so high. The second week a chest infection joined the party, so not only was incredibly unwell with flu like symptoms, but my chest was full of crap and since I’m asthmatic that’s never fun. Week 3 has been easier, the original bug is pretty much gone, and I’m just dealing with what’s left of the chest infection and the fatigue. I lost 20lbs throw the illness some of which was due to dehydration so I’m also having to make an effort to rehydrate and stay that way because I’m still occasionally ill thanks to my stupid cough. I don’t think I’ve ever been so ill. I wasn’t even this bad when I had Mono and I was off school 3 months with that. I’m just happy I’m starting to feel better, and things can start getting back to normal. So I guess I should leave you with a question, what do you do to make yourself feel better when you’re sick. Let me know in the comment box below. And as always stay and play safe. Glad you are getting better. Being sick is terrible and the only person that makes me better is my mama! It might sound childish but it is true. She is the only one that knows how much to hold my hand and how much to leave me alone when I am sick.